British lawmakers vote overwhelmingly in favor of a non-binding motion recognizing the "state of Palestine". 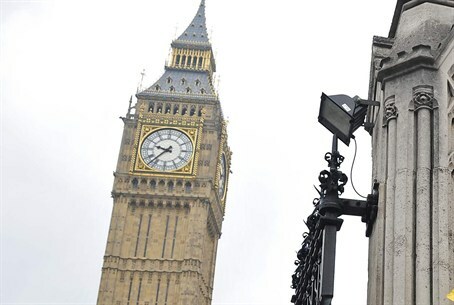 The British parliament on Monday night officially voted in favor of recognizing the “state of Palestine”. The non-binding resolution was passed by 274 in favor to 12 votes against, to "recognize the state of Palestine alongside the state of Israel" as part of a "contribution to securing a negotiated two-state solution", according to AFP. The motion, while non-binding, is heavy with symbolism but is unlikely to change government policy, the report noted. British Prime Minister David Cameron said prior to the vote that he would not take part in it. Cameron’s spokesman, quoted by Reuters, said the vote would not change Britain's diplomatic stance. The spokesman said the Prime Minister would not be taking part in the vote, and that the government was asking ministers to abstain. The British move came after Sweden made a storm by pledging its commitment to recognize a Palestinian state on the Jewish holiday of Yom Kippur. Foreign Minister Avigdor Liberman criticized the announcement, saying it came to compensate for Western failures.